The zero-g mechanic's not half bad, but two horrible mistakes were made: first, every time you flip the controls are inverted. Second, you used Kenney's assets. Yes, the inversion of the controls is a common critique, I will fix that. That was really cool! I think you pulled of the zero-g mechanic really well! 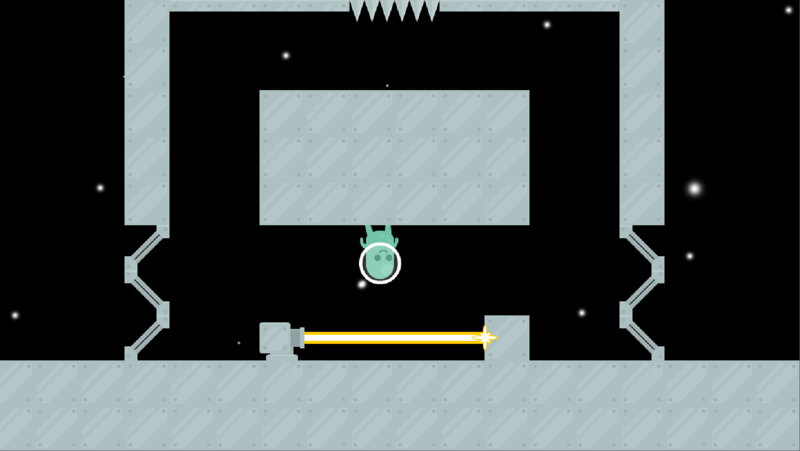 It was fun trying to figure out a way to bounce around to get to the platform you needed to get to, especially since you could use your momentum to jump off at angle. However, I didn't like the fact that your controls were reversed if you were on the ceiling, but luckily it didn't cause any unintentional deaths. Also , the laser sound kind of clashed with the music. But other then that, I really enjoyed it! I dug the cutesy aesthetic and music. Nice job! Thanks, I'm glad you enjoyed it. Going to fx the inverted thing on the ceiling.. Thanks for the feedback, I'll look into it, to make more smoth the transitions on the game. It was really fun to play ! 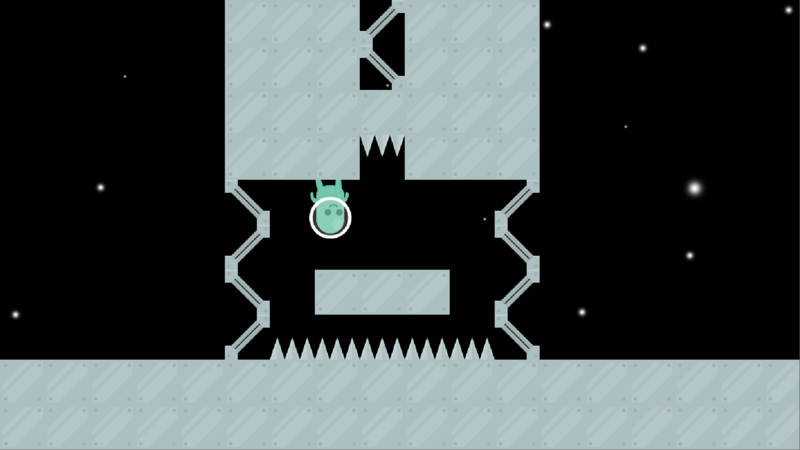 It looks like VVVVVV but it has a more tactical gameplay and I liked the fact that it feel like you often has several options to solve a level. Good job ! Thanks for playing, I'm glad you enjoyed it. I love this concept. Makes for interesting puzzles. Just so you are aware, I actually got stuck floating away in space on the level with the switch. My guy shot straight up a one point and the level never restarted, leaving me to float into the abyss for eternity with no obvious way to restart the level or continue. Still solid game though. Good job. 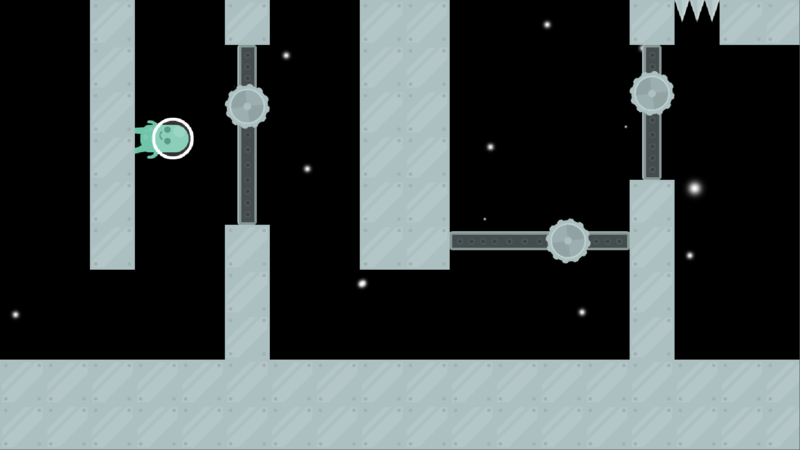 That was probably a bug, maybe the character miss the collider that reset the level, and got stuck floating in the emptiness and darkness of space for eternity, that sounds scary ;P.
Thanks for the detailed feedback. I had fun creating it, not so much because of the point 3, but well, that was came out. 1. I consider do this, but at the end I decided to left relative to the player. I guess it would better relative to the camera. 2. Yeah, the game need a lot of indicators, about the magnetics (for which I only put a flashing circle), the floating directions, and more effects. 3. This was the original idea. Sadly I couldn't implemented :(. I tried but failed to make it work, and eventually I have to decide to make something simpler, but finished, then I implemented what you played. The mechanics of walking over magnetic surfaces and shift from one to another smoothly. However, I'm gonna implement this, now with more time and maybe make another similar game with that mechanic and see what I got. Thanks again for the feedback, I'm glad you enjoyed it. 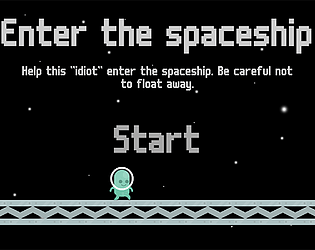 The gameplay has trouble remaining interesting and movement can be slow, but I guess zero gravity is to blame for that! A good start to a game though and I like the concept! Yeah I notice at the end of the jam that it's maybe a little slow, I'm guessing the fault in the interesting part is due the design of the levels, they could be better to keep the player interested.